The latest viral video for Guillermo del Toro’s Pacific Rim may have shown glimpses of the monsters that threaten humanity, but there were no signs of the mechs used in battle against them. Aside from the posters that has shown parts of a mech, we’ve been kept in the dark with how a mech looks in the big picture. That changed after the viral videos dropped — sorta. 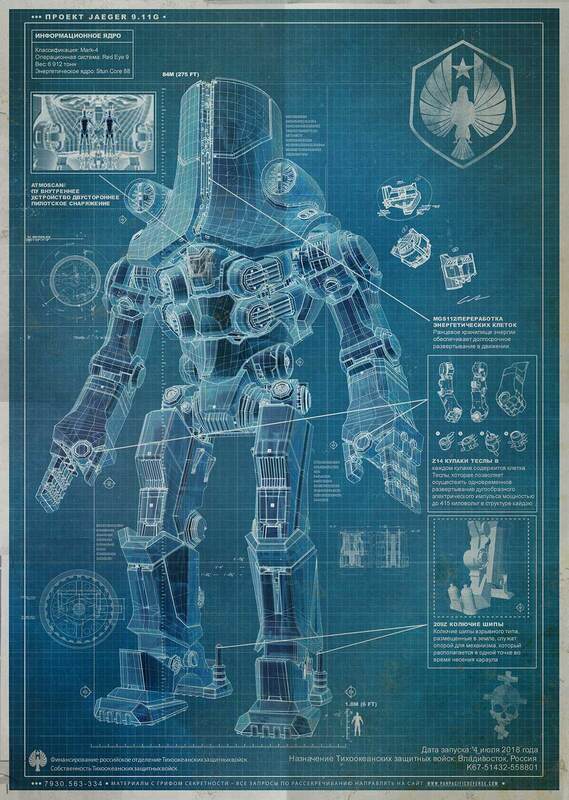 Two blueprints were released, detailing the mechs. The blueprints illustrate their size compared to a human, and suffice to say, they’re massive. I’m a fan of Guillermo del Toro’s work — and from what we’ve seen so far, I can’t help but being very excited for its release. 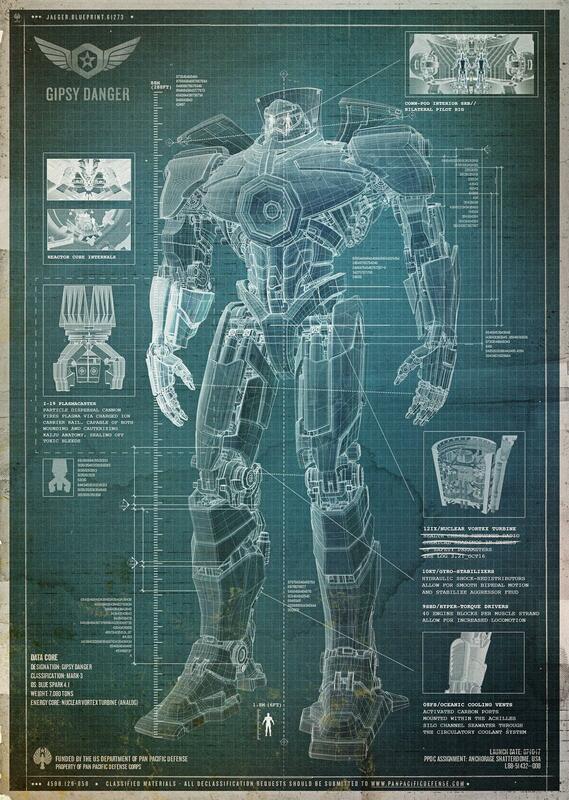 Pacific Rim terrorizes theaters July 12, 2013.